Tortuga Sailing Adventures has been taking small groups out to snorkel this unique and pristine reef for years. Loaded with colourful tropical fish, coral and plant life, everyone goes aways inspired by the natural beauty that is disappearing elsewhere quickly. Significant coral features include spur-and-groove formations, bank reefs, and nearshore patch reefs. A rectangular nine-square nautical mile area, Western Sambo Ecological Reserve begins at the water's edge off the sandy beaches and salt ponds of Boca Chica Naval Air Station. It continues through nearshore hardbottom and inshore patch reefs, out across midchannel reefs in Hawk Channel, over offshore patch reefs and the shallow bank reef, and ends at a depth of 60 feet. Western Sambo has one of the last remaining stands of living elkhorn coral in the Lower Keys, a species once abundant throughout the Keys. Anemones, crabs, starfish, sea cucumbers, sand dollars, and sea urchins are found nearshore. Surgeonfish, bar jacks, foureye butterflyfish, rosy blennies, neon gobies, grunts, wrasses, angelfish, damselfish, striped parrotfish, butter hamlets, sharpnosed puffers, and schoolmasters are residents at the reef. Huge gray angelfish and hogfish meander the shallow areas of Western Sambo. Designated on November 16, 1990, Florida Keys National Marine Sanctuary is one of 15 marine protected areas that make up the National Marine Sanctuary System. Administered by NOAA, a federal agency, and jointly managed with the State of Florida, Florida Keys National Marine Sanctuary protects 2,900 square nautical miles of waters surrounding the Florida Keys, from south of Miami westward to encompass the Dry Tortugas, excluding Dry Tortugas National Park. The shoreward boundary of the sanctuary is the mean high-water mark, essentially meaning that once you set foot in Keys waters, you have entered the sanctuary. Within the boundaries of the sanctuary lie spectacular, unique, and nationally significant marine resources, from the world’s third largest barrier reef, extensive seagrass beds, mangrove-fringed islands, and more than 6,000 species of marine life. The sanctuary also protects pieces of our nation’s history such as shipwrecks and other archeological treasures. 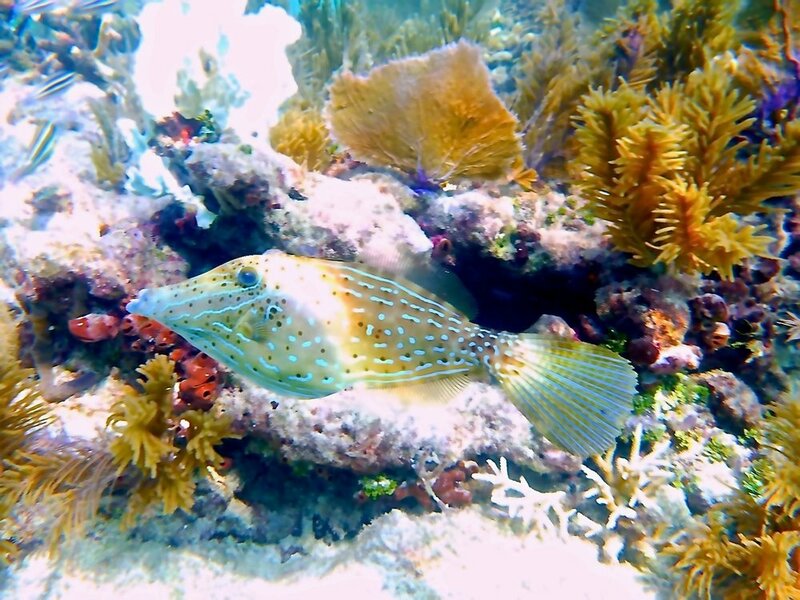 Visitors to the sanctuary are encouraged to take advantage of the many recreational activities this amazing ecosystem has to offer, including world-class diving, swimming, snorkeling, and fishing. However, rules and regulations are in place to make sure that these activities only happen in ways – and at places – that reduce user conflict and are not harmful to the sanctuary’s natural and cultural resources. 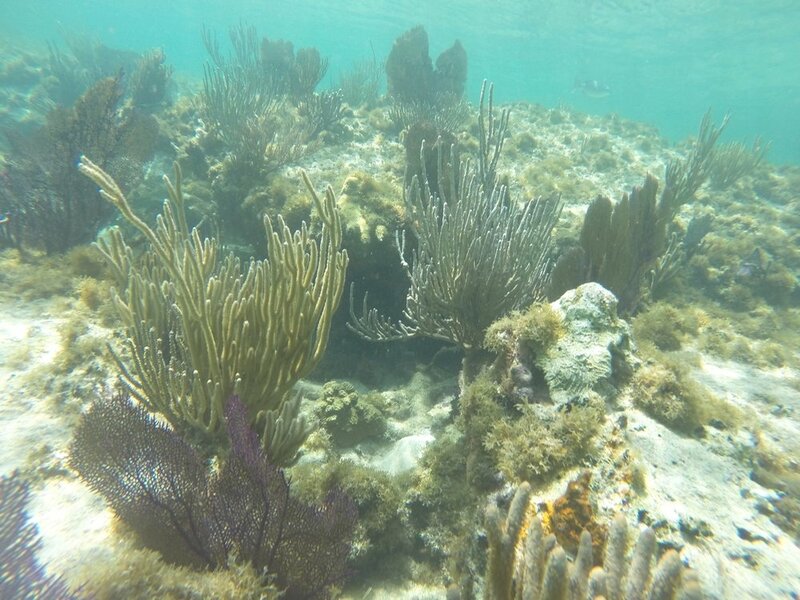 Ecological Reserves (ERs) are the largest of the sanctuary zones and are able to protect an entire range of marine habitats found in Florida Keys National Marine Sanctuary. These large, contiguous, diverse habitats help protect natural spawning, nursery, and permanent-residence areas needed for sustainable populations of fish and other marine life. There are currently two ERs in the sanctuary, the Western Sambo Ecological Reserve and the Tortugas Ecological Reserve, which together protect nearly 160 square nautical miles. The Tortugas Ecological Reserve is separated into two parts, Tortugas South and Tortugas North. Regulations for ERs limit consumptive activities while continuing to allow activities that do not threaten resource protection. Discharging any matter except cooling water or engine exhaust. Fishing by any means; removing, harvesting, or possessing any marine life. Touching or standing on living or dead coral. Anchoring on living or dead coral, or any attached organism.